Pedro Roos is the senior partner with responsibility for ensuring design integrity in the work of the Practice. Pedro believes in design excellence and appropriate solutions that are site specific and unique, informed by the client’s brief, the site informants and the financial realities of each project. He has won a great many design awards and competitions and is a highly qualified and experienced urban designer as well as a highly skilled architect. This expertise brings creativity and understanding to the art of Placemaking which, in turn, creates value. Pedro’s belief in the importance of context and the spaces between buildings has reinforced the ethos of PDP. His award winning skill as a designer of new buildings has added to the depth of design expertise in the Practice. Since joining PDP as a Partner in 2005, Pedro has expanded the urban design expertise and portfolio of the Practice, most notably with the Code 5 housing competition win in Belfast, Northern Ireland as well as projects in St Petersburg, Russia and Pisa, Italy. He has most recently been involved in a range of projects of different scales in the contextually sensitive boroughs of both Kensington & Chelsea and Westminster, seeking to maximise residential value in both regeneration and new build projects. 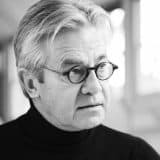 His work includes the full spectrum from urban design to residential, institutional and corporate head office buildings and has been published widely both nationally and internationally.